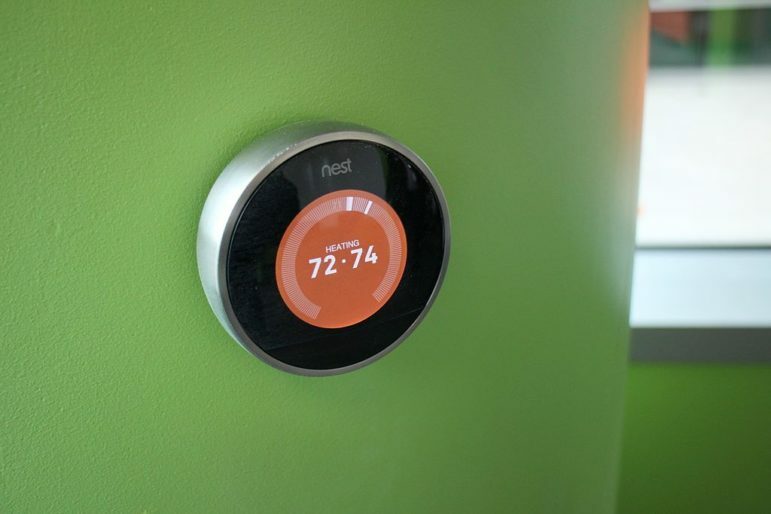 Chicago will need to embrace smart thermostats and electric heating to meet long-range carbon reduction goals, according to a recent report. The study by the Rocky Mountain Institute found that a pivot to carbon-free electricity won’t get the city far enough to achieve its climate goals, and that efficiency and electrification will need to play a bigger role. That includes making the switch from natural gas to electric heat. 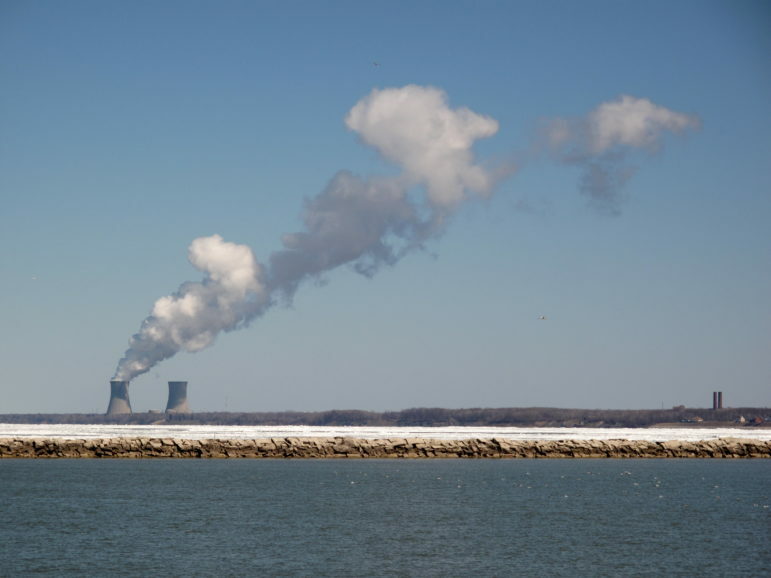 A zero-carbon electric grid would only cut total U.S. emissions by 30 percent, Henchen found. 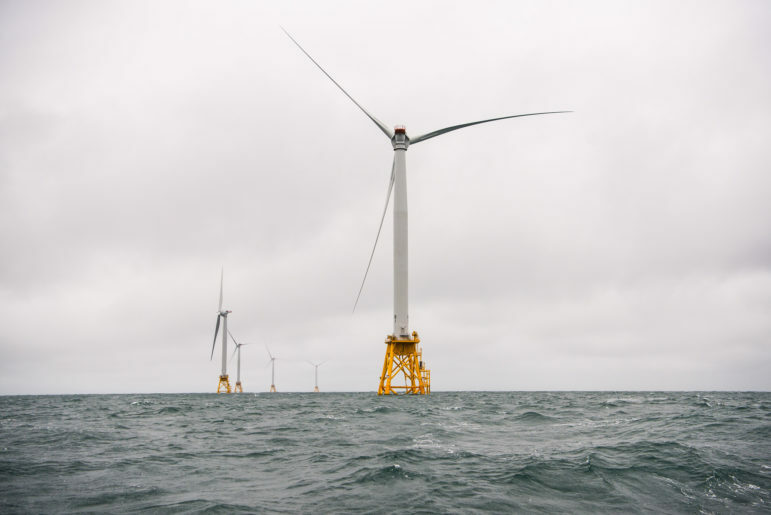 But couple that clean power with a massive electrification of buildings, industry, and public transit, and the U.S. could see a 70 percent reduction. Chicago is currently almost halfway to meeting emission goals outlined by city leaders when they signed onto the Paris Climate Accord. Henchen’s advice for cities like Chicago looking to meet ambitious emission goals is to electrify fast, even if most buildings are being powered by natural gas. The transition from gas furnaces to electric heat pumps will have to happen in tandem with other changes. 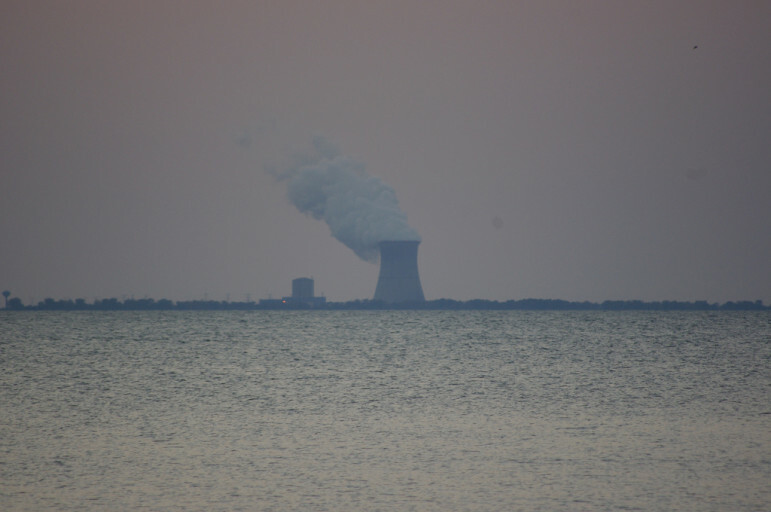 The Chicago region’s power is still dependent on coal burning power plants, and if that doesn’t change, electrification could actually cause emissions to rise. Researchers looked at 2016 data for the Chicago-area grid and found that heat pump systems currently produce 50 percent more emissions than gas furnaces for new and renovated homes, but that’s changing as coal plants retire around the region amidst a boon in cheap natural gas and the declining cost of renewable resources. 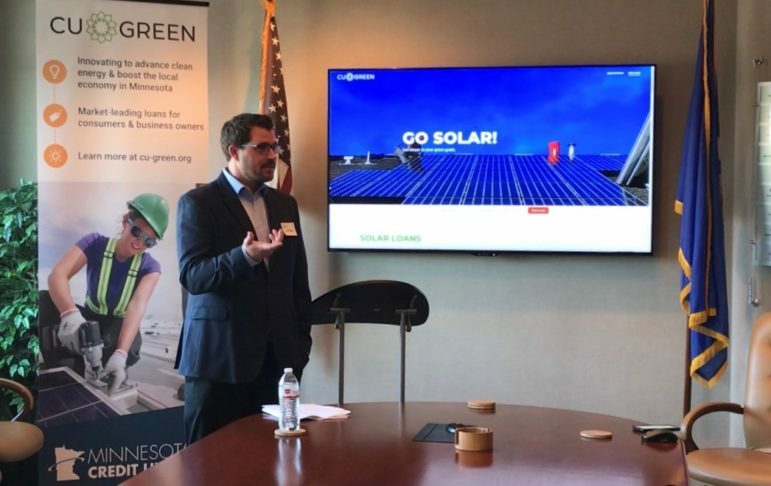 In April, the Illinois Commerce Commission approved a pathway for the state to be powered by 25 percent renewable energy resources by the year 2025. 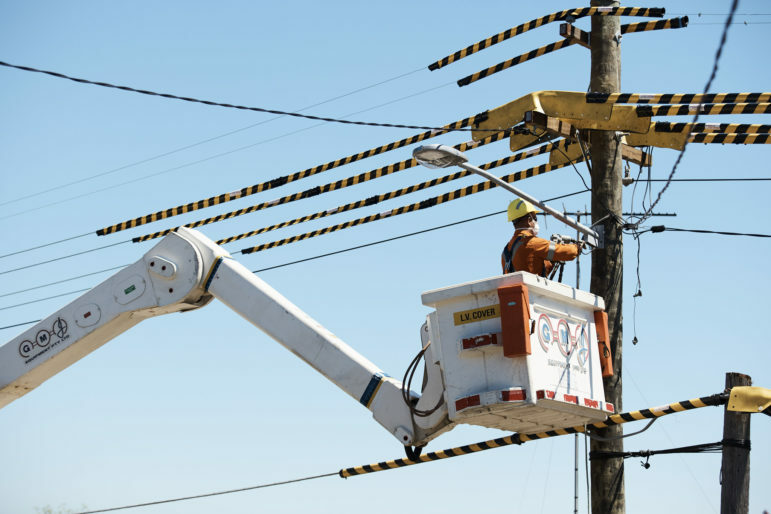 “Our expectation is that the grid is actually changing pretty quickly, so the long term outlook is for a cleaner grid and for electrification to be beneficial, but the mix hasn’t quite hit that yet,” Henchen said. 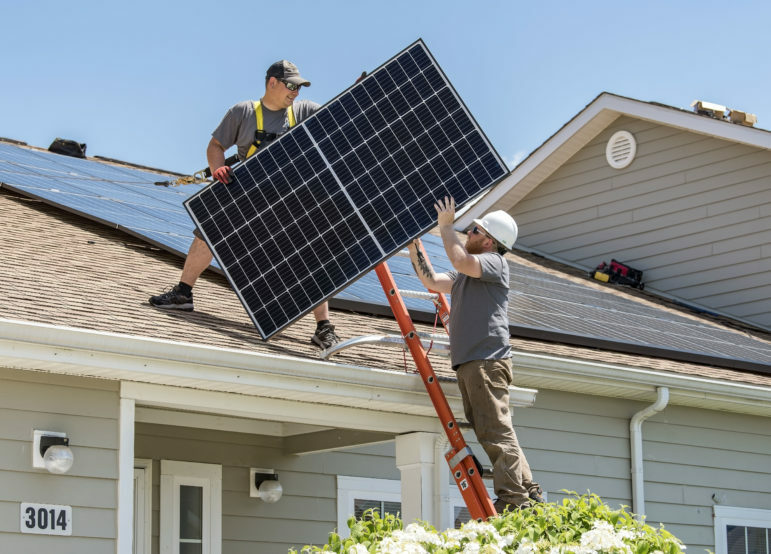 The Rocky Mountain Institute looked at the economics and carbon impacts of electrifying homes and businesses and the installation of electric heat pumps and water heaters in four cities, Oakland, California, Houston, Texas, Providence, Rhode Island, and Chicago. Henchen’s team found that the cost of a heat pump is going down while the value of demand flexibility programs are going up. 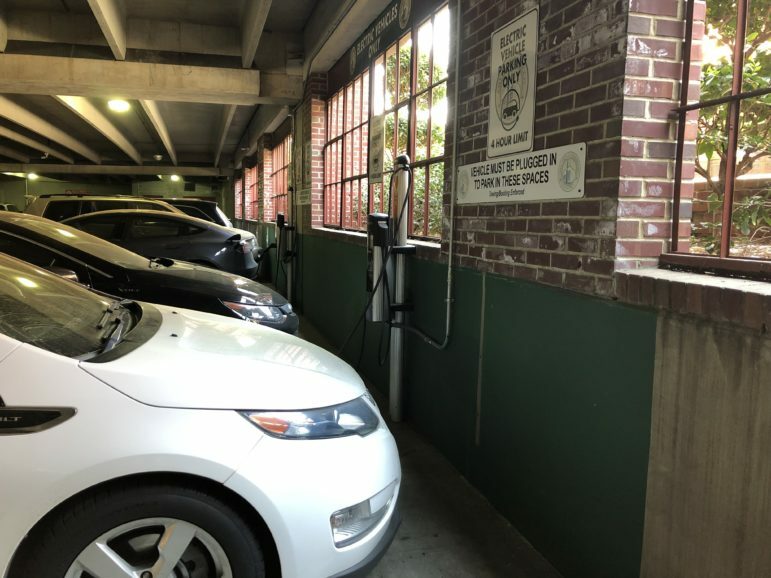 He wants people to think of electrifying buildings and switching to renewable resources in the same way that they think about replacing gas cars with electric ones: a move toward reducing their carbon footprint. Henchen says even if consumers aren’t ready to replace gas furnaces, they can get a lot of value using smart thermostats to control their energy at home. “The thermostats can tell when you are not in the house and will use less energy – that’s an immediate benefit,” he said. Last month, Ameren Illinois, one of the state’s two largest utilities, announced a plan to install 300,000 smart thermostats in customer homes and business — that’s more than a third of its customers. 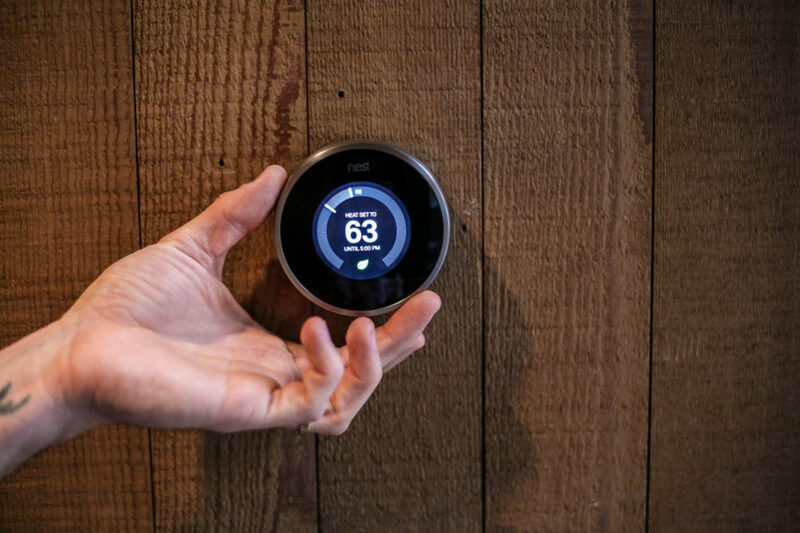 A goal is to help customers manage energy use and give them more control over their monthly bill, but a large-scale deployment of smart thermostats can also help utilities manage energy peaks. Henchen says he can see these types of programs evolving to provide even more value in the future with widespread heating electrification. Agnes Mrozowski, an energy efficiency advisor with Ameren, said smart thermostats are getting better and more affordable. As the new technology is adopted by more customers, their bills and emissions will go down. “The microgrids, the smart grid, smart technology — it’s all coming together,” she said. Applications for the thermostats are currently open and the installations will continue over the next 10 years.